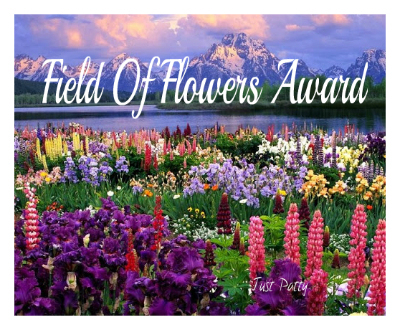 I was thrilled to find that Karen Whitelaw nominated my blog for this award. Karen teaches creative writing classes at our local community-based education centre and I enrolled in one of these classes a couple of years ago. At the time, I didn’t realise how much Karen’s guidance would forever change the way I looked at my writing. It was Karen who motivated me to take my writing seriously and make it a regular part of my life. Karen blogs at ‘The Writers’ life’ at www.karenwhitelaw.com. The placement of the apostrophe in her blog’s title says it all: Karen doesn’t see herself as one solitary writer, but part of a community of writers who can all benefit from discussing, critiquing and sharing knowledge about all things related to writing. I would highly recommend you follow her blog to discover how writing is much more than just words on a page. I’ve nominated 7 blogs below that I personally enjoy and make sure I read every post that comes through. Other Side of the Sun shares what it’s like to be a Spaniard in Australia with a strong passionate voice and entertaining comparisons. Her Spanish background and proud connection to my home town (Newcastle, NSW) shine through in every post. The name of her blog is brilliant and reflects what it’s like to move to the other side of the world to a place that is so different yet so similar to her home town. I discovered Rochelle’s blog when participating for the first time in Friday Fictioneers. Rochelle works tirelessly each week to initiate and manage FF, allowing hundreds of writers around the world to be inspired by one photograph and write a 100 word story for others to enjoy. It’s a fun, achievable project to keep you writing each week and is VERY addictive! Ian McHugh is a sci-fi and fantasy writer with a blog that covers all things writing. It’s a good looking, well-designed blog, and true to his genre, there’s a hint of sci-fi in every post. His posts make me think about aspects of writing I’ve never considered before. The Open Suitcase has helpful snippets about everything to do with travel, from family tales on the west coast to what to pack in a toiletries bag. She has even inspired me to dust off my first draft USA travel novel and start reviewing! The blog is nicely laid-out and you can tell the author is a genuinely lovely person who cares about her readers. 101 books is an awesome blog where the author has set himself the challenge of reading Time Magazine’s 100 Greatest Novels since 1923 (plus Ulysses). He has read almost 70 books so far and ranks them on his blog. He also gets deep into the characters and the stories, writing quite humorous posts such as which characters he would like to have a beer with and why. With its catchy title, High Five and Raspberries is a sweet blog that showcases the author’s love of writing through gentle, poetic pieces. She commits herself to a number of weekly writing challenges and doesn’t miss a beat. Hats off to her dedication! Momdeavor is a new blog started in February 2013 and looks like it’s really taken off with regular posts and regular readers. The author is honest and consistent and comes across as a truly caring and enlightened person willing to share her positive outlook with others. Oh, and did I mention she’s a mother of 9 kids? I hope the 7 nominees will accept this award. It’s a small thank you and an acknowledgement for the pleasure your blogs give me and, I’ve no doubt, many other readers. Well done Jess! What a lovely idea.